Getting locked out of Apple ID of your own device is one of the most embarrassing things that can happen to you in your gadget life. And yes! One of our best brands can do this to you. While some people know why they were locked out, many woke up to find out the tragedy. Apple ensures that data on iOS devices are safe and secure as most of their versions always come with an additional security feature. While this might seem like a bug, it might also be deliberate action to ensure that a device is in safe hands. If you or someone else inputs a wrong password or account information in general incorrectly for too many times, you will be locked out of Apple ID till proper verification and recovery is being carried out. This is for security reasons. If you have not accessed your Apple account in a long while, you might need to carry out proper ownership verification; else you will be locked out of the account. If you have been locked out, don’t panic because it is fixable. The process of recovering your forgotten account information or verifying that you are not a security threat on an iOS device might be very tedious, consuming time and energy. However, an unlock tool will save you all the hassles you would have gone through. iMyFone LockWiper is a very versatile unlock tool that has a number of features that will solve all your lock and other access related issues on your iOS device. Wondering what iMyFone LockWiper can do? 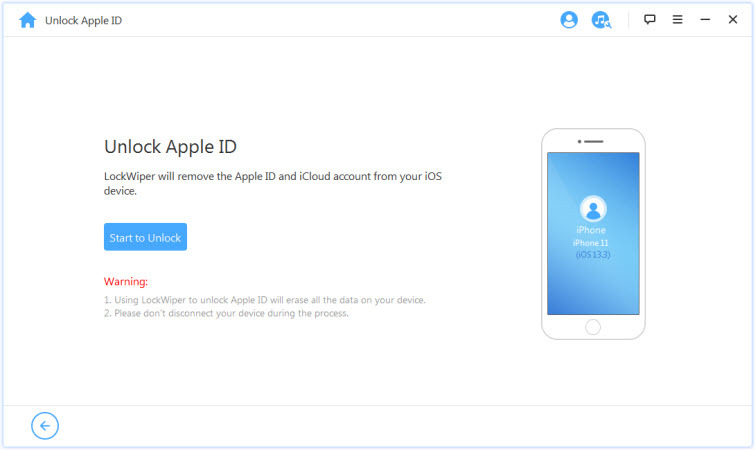 Can unlock your Apple ID/iCloud account without knowing the password. Can help you get access to all the iOS features and iCloud services. Can disable Find My iPhone feature on activated second-hand iOS devices. User friendly and does not require much of technical knowledge to use. Also unlock screen lock when your passcode, Touch ID or Face ID doesn't work. The following are step by step guides for getting back into your device after being locked out because of Apple ID issues using iMyFone LockWiper. Step 4. 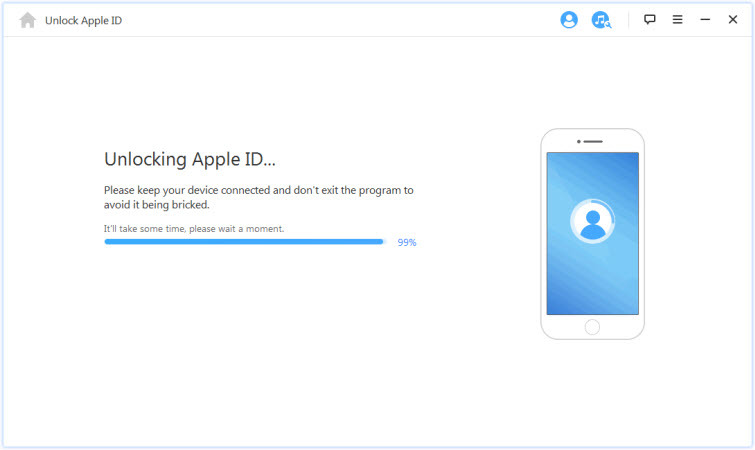 Your iOS device will start unlocking the Apple ID. Step 5. 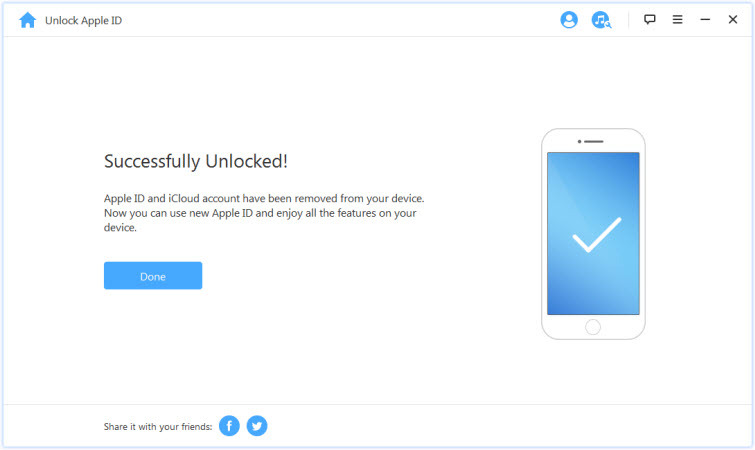 Once the apple ID has been removed from your device, you can now add another Apple ID/iCloud account to your device. Note: please note that it only supports activated devices, so please make sure that your device is activated before you used the program. Or you might need to try another way. Tap [your name], then “Password & Security”. Tap “Change Password” and follow the onscreen steps. Enter your Apple ID and select the option to reset your password, then click “Continue”. If you have forgotten your Apple ID, enter your Recovery Key for two-step verification. Select a trusted device and a verification code will be sent to you. If you have forgotten your Apple ID, select the option to reset your password, then click “Continue”. For security questions, select "Answer security questions" and follow the rest of the steps. For email, select "Get an email". An email will be sent to your primary or rescue email address. If you did not get an email and you are asked for a Recovery Key, two-factor authentication or two-step verification should be used. It is advisable to always choose passwords that cannot be easily guessed by unauthorized folks but at the same time, easy to remember. However, if you have issues with your Apple ID, you can always gain access back into your device through the information provided in this article. The best choice for fixing Apple ID issues like locked out of Apple ID would be using iMyFone LockWiper since it is concise, user-friendly and does not need any technical knowledge. I recommend it for solving any lock issues on your iOS device as it is available for both Mac and Windows PC users.